Pine Knot, Ky.—Do you ever wonder what happens to all of your family members after the courtroom drama? After the news cameras and news articles dry up? After the victim impact statements and the jury’s verdict have been handed down? Let me tell you what happens from an insider’s perspective. The condemned man or woman is shackled and transported to a county jail or other holding facility and for the next several weeks we lie awake at night, listening for the rattling of chains. We lie in our bunks in a two-man cell until one early morning these rattling chains stop in front of your cell, and the guard yells your name, “James junk and bunk.” What that means is pack up all your junk and bunk, and we will be back for you in a few minutes. During that few minutes, you yell at your friends two cells down, and you try to find a way to stall. 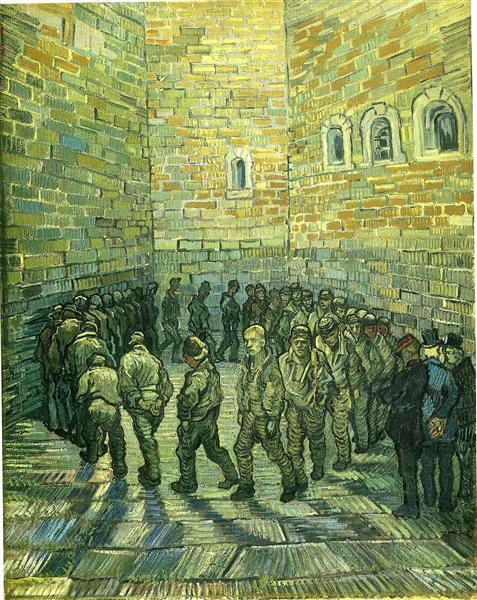 But before you know it, the guard is rushing you out the cell, and the next thing you know you are standing in a room with several other men or women naked, with guards looking in every body cavity you have. After that you are handed an orange jumpsuit, handcuffed and shackled at the feet. You are shackled to several other inmates and then a black box is placed over your handcuffs. After being loaded into a van or bus, you begin a ride to a diagnostic center. You see your city disappearing behind you, and you end up in a rural area with horses and big haystacks everywhere. You go into a facility with guards wearing cowboy boots. Once unloaded, you again get stripped down and examined in all of your private areas. Then you are sprayed down with lice spray and debugged. After your shower, you are given a test for hearing, sight and a physical. Next you are given a bedroll and a couple sets of clothes. Last but not least, you are stripped of your god-given name, you are no longer Randall James. You become inmate #183317, and then begin a journey into a whole other world. A world of make-believe where postage stamps are now money, where you are marched around like cattle to chow and other functions, where men use other men for sexual gratification daily, where a simple infraction can lead you to be placed in solitary confinement for months at a time, where you try to reach out to family and friends, but out of sight, out of mind. This is our reality once we have been convicted. If we don’t have outside support, some of us go crazy in here. This entry was posted in Articles and tagged junk and bunk, Pine Knot KY, prisoners, pulling chain, Randall James, Solitary confinement, strip search, USP McCreary. Bookmark the permalink.